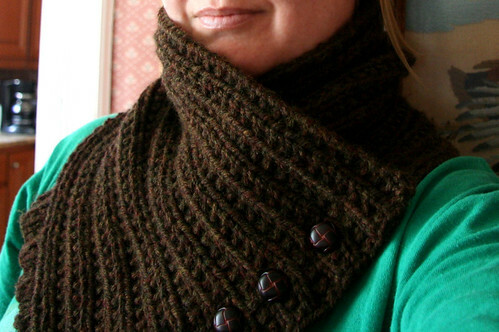 Pattern: Montana Scarf by Craig Rosenfeld, free pattern from Loop Knits. 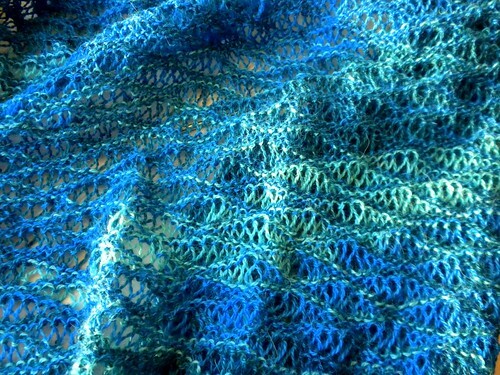 My project page is here on Ravelry. 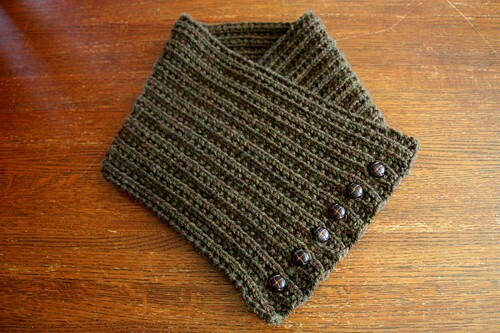 I made this neckwarmer for my nice brother as one of his birthday gifts this year. To say he spends a lot of time outdoors would be a gigantic understatement. Between working on a charter boat and hunting, he is basically always outside, even when the temperatures are below freezing and he is getting covered in snow. I discovered this pattern last year and made a buttoned neckwarmer in green for my father last Christmas (which no, I still haven’t photographed yet, oops). My brother coveted it and asked if I’d make him a brown one for the start of duck season this year, and fortunately enough time passed that he forgot he’d requested it, so it was actually a surprise by his birthday. I love this pattern, as it is simple and fun, producing an attractive reversible rib that lays nicely flat despite being worked in a bulky yarn. I went with an acrylic-wool blend so it would be machine washable and soft against the skin because even though my brother is an outdoorsy tough guy, I still want knit things to be squishy and pleasant to wear. I made simple yarn-over buttonholes, which I reinforced with a single ply of the yarn using what I now know is called a buttonhole stitch. Because my birthday is November 1 and my brother’s is November 3, we always celebrate together with our family. 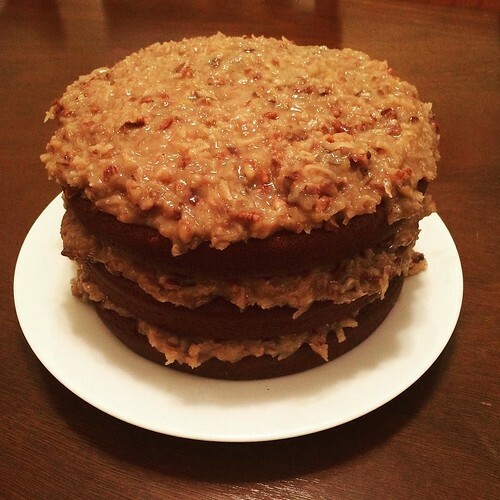 This year I made us a German sweet chocolate cake from scratch and immodestly declared myself Star Baker, as it is probably the loveliest thing I’ve ever baked. 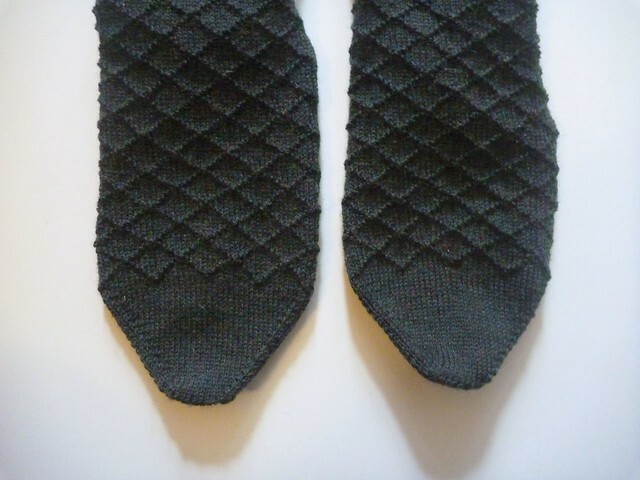 I’ll try to get photos of my brother wearing his neckwarmer (and my father’s, while I’m at it) the next time I see them. I hope you will find the new blog design and layout cleaner and more inviting to read. I certainly feel encouraged to come over here and write more. I’ve noticed, as I’m sure you have, a large number of year-end summary posts detailing the various accomplishments and industry of other knitters and crafters. “I should make one of those,” I thought briefly, before I was discouraged by a sorry lack of productivity to show for myself. The funny thing is that, while I have excuses aplenty (full-time school, overwhelming personal life stuff, busying myself with NYC) it’s not that I haven’t been knitting. I actually knit quite often, but I am not finishing anything. Or if I do, I’ll leave out some tiny but super-important step, like weaving ends in a scarf or hat, or sewing buttons on a sweater. I don’t want to do that anymore. It’s lazy and silly of me, and I’d like to finish these projects and put them to use. So the good news is, very soon I’ll have a pile of imminent FOs to show you. The bad news is, you’ll probably have to wait until 2012. But since that’s right around the corner, I’m calling it all good. Gather together all nearly-finished projects and block, sew on buttons, weave in ends, or perform any finishing tasks to transform them to FOs. Finish at least one project each month (including photographing it and posting it here). Make long overdue gifts for my family: Cobblestone Pullover for my father, Cable-Down Raglan for my mother, Oiled Wool Hat and matching gloves for my brother. Knit a sweater using the yarn I bought in Iceland (related: tell the internet all about my trip to Iceland). Make at least one pillow from the number of pillow kits I obsessively accumulate. Learn to use my sewing machine, and sew at least four projects. Branch out with needlepoint, cross-stitch, crewel work, etc. Do not buy any more yarn or crafting supplies until marked progress has been made on finishing some major projects. These resolutions probably look pretty familiar to those of years past, and alas, they may be my perpetual crafting goals. This year, however, I have a plan, and I hope you will enjoy watching it unfold. My big brother is one of my heroes, and I could go on and on about what an amazing human being he is, as well as his specific accomplishments in siblinghood – and to him, I do – but for the purposes of this project, I think it mostly suffices to know I love him dearly. I’ve also been promising him a hand-knit hat for an embarrassingly long time. I think most people don’t really need super-warm hand-knit hats, but my brother is a fishing boat captain, an avid hunter, and a general rugged outdoorsman who is frequently to be found in the woods or on the water in freezing, wet conditions, gleeful as could be. My first attempts at hat-knitting for my brother were destined for failure, I can see on hindsight (I actually have a third attempt about 80% complete in my knitting basket, which doesn’t even fit me). I used a cotton blend yarn, needles that were too small, didn’t cast on enough stitches, and I attempted colorwork for the first time despite knowing it would cause additional tightness. I seem to come across the description “fat Irish head” a lot, and for my family, this description does seem particularly apt. 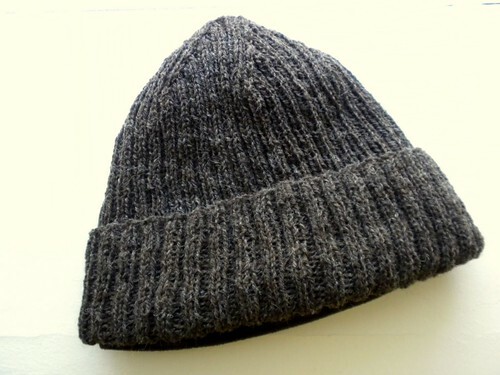 My brother’s head is 24″ in circumference (I think mine is around 22″), yet I continued to knit standard “adult-sized” hat patterns, with all the gauge problems one could ask for, as if I would somehow stumble into a hat that fit. Spoiler alert: I did not. 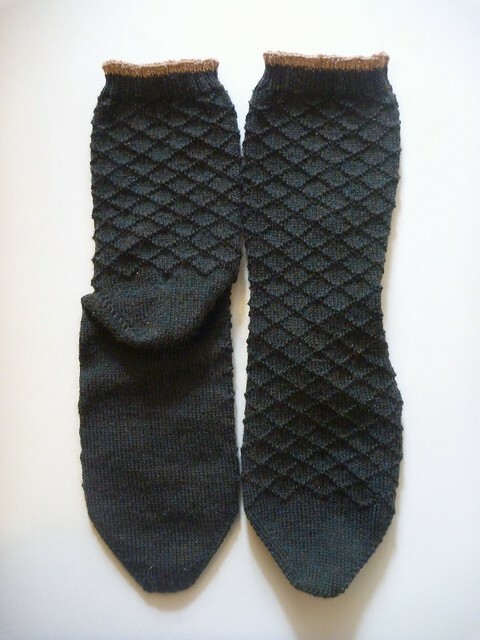 I finally broke out the cone of oiled wool I had purchased years ago for a pair of shooting gloves for my father (still have to fix one thumb of those – jeez, I’m awful with gifts). 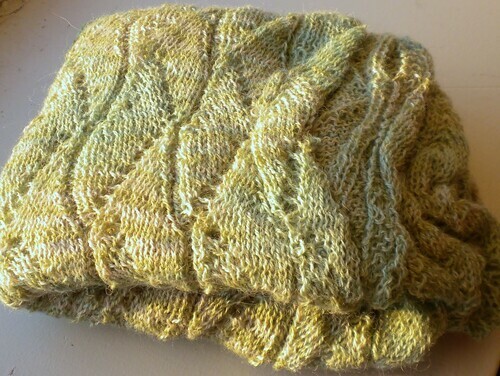 I decided for a ribbed hat, to make it stretchier, and I found a really stylish and terrific pattern. Predictably, I had to go through a few failed attempts at this pattern, too, before I acknowledged that my yarn was thinner, my target size larger, and so on. In a way, it’s good that all this fumbling delayed the finished hat because it gave me time to really think through this thing I was making. I wasn’t just gratuitously knitting my brother a hat – I wanted this to be the hat, the warmest, snuggliest thing he owned, which would keep his brilliant brain toasty even when it’s snowing on the ocean and remind him that his sister loves him every time he wears it. 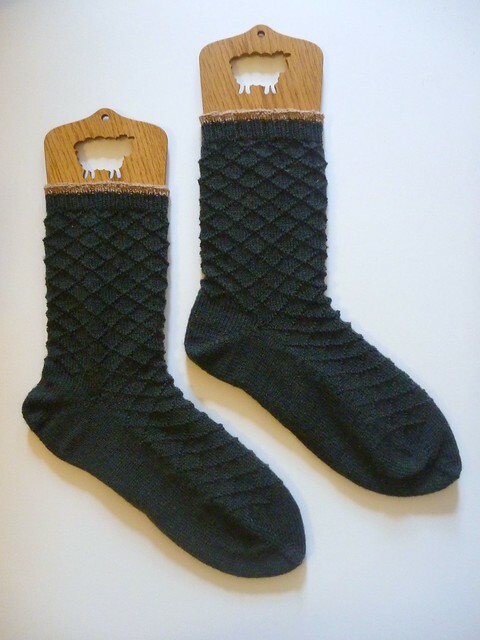 I started to think about the experience of wearing oiled wool next to the skin, and it honestly did not sound comfortable at all. I may joke about him being part Viking and a pirate, but my brother is also a stylish guy in his thirties, who has nice skin that he probably doesn’t want scraped raw with each wearing. 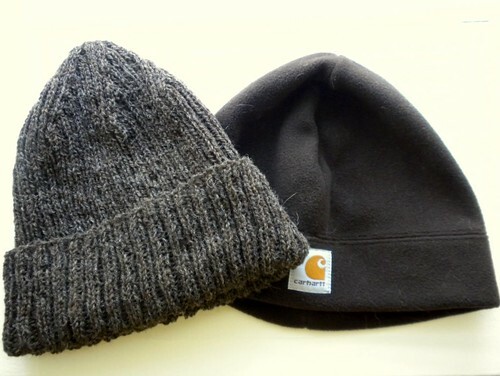 Fleece lining, I thought, will be the way to make the hat soft and comfortable, super duper warm, and give it structure. But boy do I hate sewing, and I didn’t even know where to begin with hat-lining. 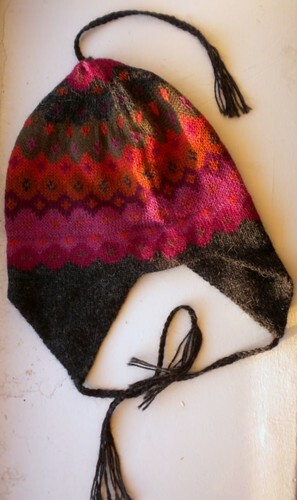 Here is where I blundered into what I consider one of the most brilliant ideas of my knitting career to date: to line a hat with fleece, buy a pre-made fleece hat and sew it in. Structure? Done. 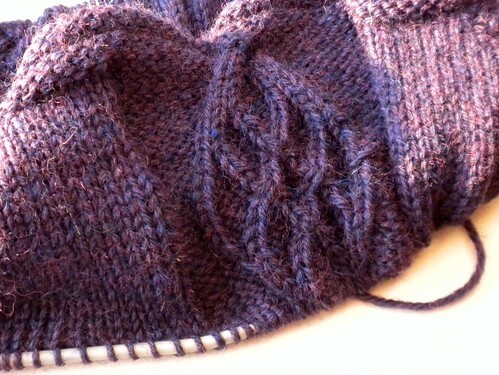 Seaming? None. Super weather-resistant, pill-resistant, washable fleece? In the bag. The hat is blocking as we speak, but I’ve learned from my experiences. I’m going to make absolutely sure that the big Carhart hat I bought for a song (the Amazon comments of which extolled its virtues for fitting large-headed construction workers and outdoorsy men of the world) actually fits my brother before permanently sewing the hand-knit oiled wool part to it. 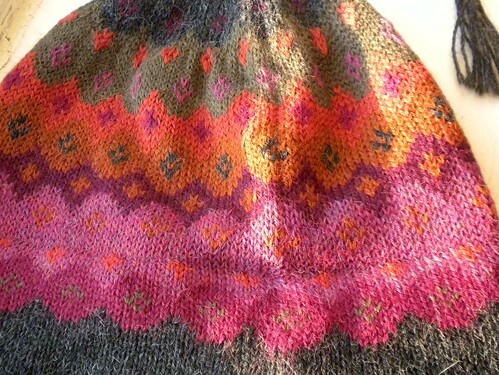 I know the hat I’ve knit is finally big enough, and it’s the right style and feel, after all these years. It’s not his main birthday gift, or in fact being presented as one of this year’s gifts at all, since it was meant to be his gift way, way back in 2008, but I will be giving it to him when we celebrate our birthdays in a few weeks (mine is Nov 1, his Nov 3). I really hope he likes it! I think that being a knitter is similar to being an artist, or a scientist, or a chef, in that as you go about the day, you don’t really ever stop being what you are, yet it’s not the only thing that defines your existence. As I ride the ferry, I always notice the knit items people are wearing, examining their construction, the fit, the lace or cable pattern, and in the same way that I look at paintings as if I had a brush in my hand, I wonder how I would make this thing, what I might change about it, and so on. But mentally knitting, obviously, isn’t the same thing as physically taking needles and yarn and producing something, which is why I’m so delighted to have stolen moments here and there to make progress on a bunch of projects, old and new. This is my Upstairs shawl/wrap/scarf, with which I am utterly enamored. 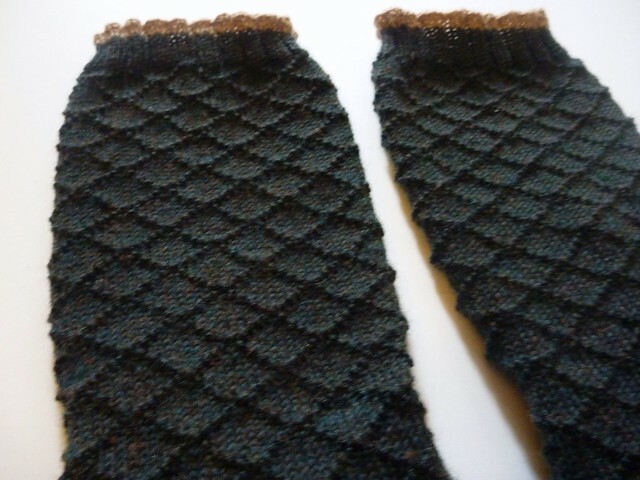 I will go on (and on) about this project in its own FO post, but I will say that the thought of blocking it and having raggedly, pointy, stretched-out edges broke me down, and I bought blocking wires. I look forward to seeing how they work out. I stayed with my family in New Jersey through Hurricane Irene, and the several days we were without power gave me quite a head of steam on a project I haven’t mentioned before. 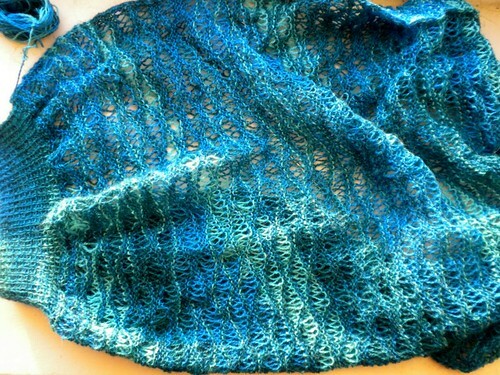 This is a summery laceweight shrug knit in seafoam stitch, and even though it will probably be a while (like, the next three seasons) before I get to wear it, I’m pretty enthused with what I think it will become. 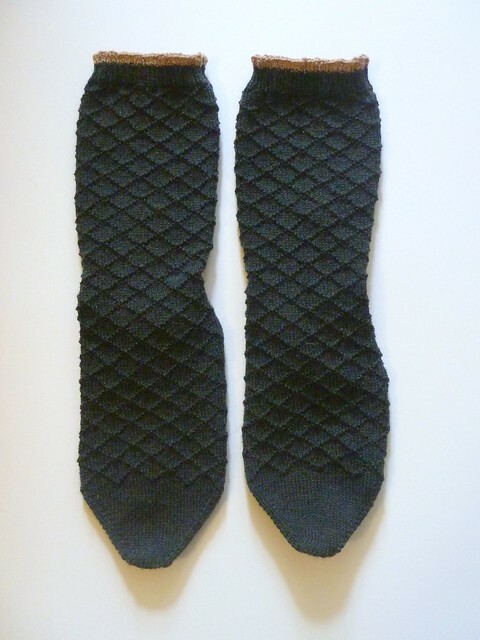 I pretty much always have socks on the go (I will do a whole sock catch-up soon), but these had been abandoned a while ago in my knitting basket. I can’t really remember why, save for the tedium of working with bamboo needles, but once I started them back up again, I whipped through a heel and have been moving up the leg. I love this snowflake lace pattern, and I keep thinking about where else I might like to use it (probably a cardigan or shrug?) since it is that perfect blend of organic and geometric, deceptively simple, and really quite lovely when stretched and worn (saving that for the FO post, again, soon). Now I didn’t knit this, but this is a spectacular alpaca hat my parents picked up for me during their vacation to Peru in August. I am so smitten with its colors, style, and decadent, soft warmth that I’m actually willing the weather to get colder so I can wear it outside of my apartment. My father bought my mother an insanely gorgeous alpaca cardigan, which I have to remember to photograph the next time I visit. And saving perhaps the best for last, I have finally started a new sweater for my mother, which is technically her Christmas gift from ohh… 2008? This is not her gift this year, but rather something I’m going to try to get done soon because I feel bad promising people knits and not following through (I’ve done this with both parents and my brother, so yeah, bad habit of mine). 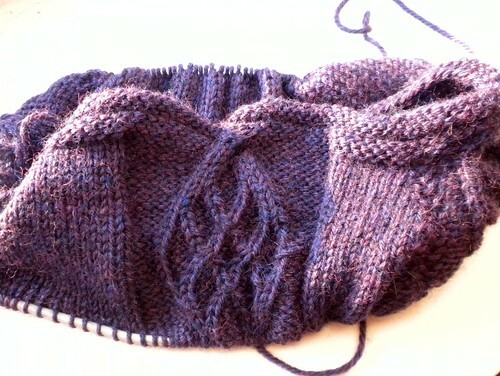 You may recognize it as the Cable-Down Raglan, a pattern I’ve admired for a long, long while. And yes, I have the yarn (and now the skills) to make one for myself too. I had started a different cabled sweater for my mom years ago, but the more FO photos I’ve seen on Ravelry, the less I think that sweater will be particularly flattering for her, and it would make us both feel terrible to spend all this time knitting some elaborate cabled sweater that she never wears it because it looks bad. I admitted that this hesitation was most of why I’d stalled out on her super-belated Christmas gift, and she was relieved that I didn’t plug ahead on a feckless project. When I showed her the Cable-Down Raglan and photos of women with similar shapes and how wonderful they looked in it, she became enthusiastic and encouraged me to go forward with this one instead. True to form, she picked out another heathered purple yarn, and I must say, I’m pretty pleased with the way it’s coming along. I really hope she likes it! So these are but a few of the projects keeping my hands busy lately. 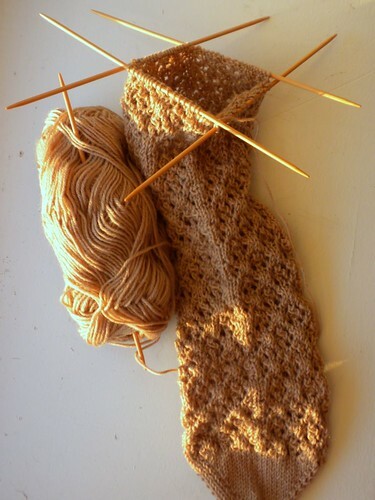 I often think that if I focused on just one project at a time, I could whip out the FOs left and right, and this may be a strategy I can employ once I get some of the long-hibernating WIPs out of my basket and off my needles. But in the meantime, we’re coming into autumn, or Knitter’s Paradise, and I’m happy to have my hands full of wool again. © 2011 Moon - All Rights Reserved.